Transcending both academic disciplines and traditional categories of analysis, this collection illustrates the ways genders and sexualities could be constructed, subverted and transformed. 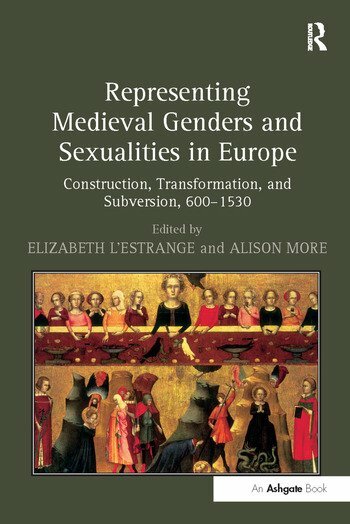 Focusing on areas such as literature, hagiography, history, and art history, from the Anglo-Saxon period to the early sixteenth century, the contributors examine the ways men and women lived, negotiated, and challenged prevailing conceptions of gender and sexual identity. In particular, their papers explore textual constructions and transformations of religious and secular masculinities and femininities; visual subversions of gender roles; gender and the exercise of power; and the role sexuality plays in the creation of gender identity. The methodologies which are used in this volume are relevant both to specialists of the Middle Ages and early modern periods, and to scholars working more broadly in fields that draw on contemporary gender studies. Elizabeth L'Estrange is lecturer in the History of Art at the University of Birmingham, UK.